Release date: August 23, 2016. The next part of the role-playing action Deus Ex with elements of a shooter from the 1st person takes us to 2029 year. The development of biotechnology has divided humanity into "natural" and modified. The latter are oppressed and feared, crime and terrorists are raging, and secret organizations weave their intrigues, far from simplifying the situation in the world. 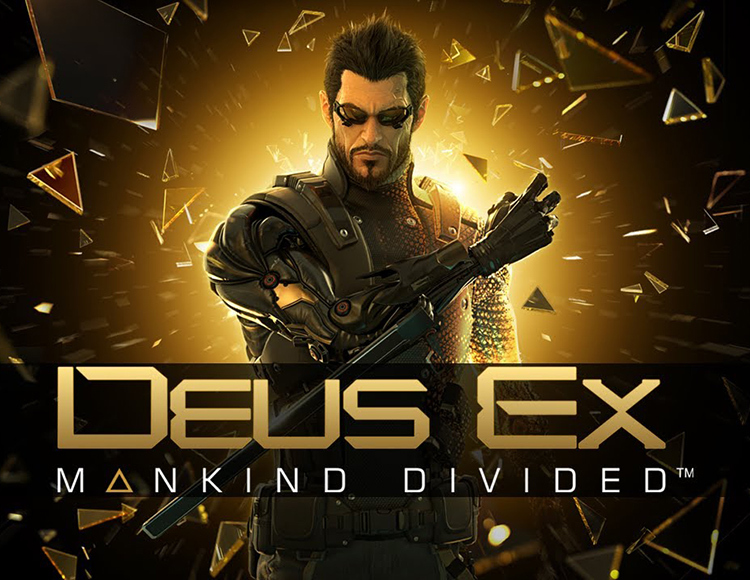 Understand with all this in the game God From: The divided humanity is to Adam Jensen, a secret agent who himself is stuffed with implants from head to foot. His artificial nature and work set him an uneasy moral choice, forcing him to carefully think over his every decision, the consequences of which can change the course of this story. Features: The perfect mixture of genres, from stealth action to RPG, which, along with excellent detail and reliable physics provides a high realism of what is happening and guarantees a complete immersion in the life of mankind of the future. In Deus Ex: MD, every action has its consequences, make the right decisions, but do it quickly, because time works against you. Become a secret agent, with a rich arsenal of weapons and implants. Customize to your taste Adam´s modifications and pump necessary skills for the game. Learn to be secretive and destructive, extract the necessary information by any means and decide how it is best used. If you wish, you can go through the game without killing, but it will not be any easier than the "combat" passage. The Shooter part of Deus Ex is also implemented excellently, like everything else. Weapons can now be modified right in the scrum, adding or removing the sight, muffler, changing the type of cartridges. The complication of hacker mini-games will make the gameplay even more intense and interesting.